Luke Hankins was born in Natchez, Mississippi in 1984 and grew up in Pineville, Louisiana before moving to his current home in Asheville, North Carolina. He attended the Indiana University M.F.A. Program in Creative Writing, where he held the Yusef Komunyakaa Fellowship in Poetry. His first collection of poems, Weak Devotions, was published by Wipf & Stock Publishers in 2011. He is also the editor of Poems of Devotion: An Anthology of Recent Poets, published by Wipf & Stock in 2012. His latest book, The Work of Creation: Selected Prose, was released by Wipf & Stock in 2016. Hankins’ second poetry collection manuscript, Radiant Obstacles, was shortlisted for the 2016 Periplum Poetry Book Competition (Plymouth University, UK). A collection of his translations from the French of Stella Vinitchi Radulescu, A Cry in the Snow & Other Poems—noted in the The New York Times Book Review—is forthcoming in an international edition from Seagull Books in April, 2019. Hankins is the founder and Editor of Orison Books, a non-profit literary press focused on the life of the spirit from a broad and inclusive range of perspectives. 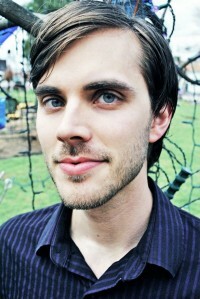 He also serves as Senior Editor at Asheville Poetry Review and as a staff book reviewer at Southern Humanities Review. Hankins was awarded the 2016 Dash Literary Journal poetry prize and was shortlisted for the 2015 Montreal International Poetry Prize. His poems, essays, and translations have appeared or are forthcoming in numerous periodicals, including 32 Poems, American Literary Review, The Collagist, EuropeNow, Image, Linebreak, New England Review, New Poetry in Translation, Pleiades, Poetry International, storySouth, Verse, Waxwing, West Branch, World Literature Today, and The Writer’s Chronicle, as well as on the American Public Media radio program “On Being.” His poems have been anthologized in Misrepresented People: Poetic Responses to Trump’s America (New York Quarterly Books, 2018), The Poet’s Quest for God (Eyewear Publishing, UK, 2016), The World is Charged: Poetic Engagements with Gerard Manley Hopkins (Clemson University Press, 2016), The Southern Poetry Anthology, Vol. VII: North Carolina (Texas Review Press, 2015), The Global Poetry Anthology (Signal Editions, Canada, 2015), and Becoming Fire: Spiritual Writing from Rising Generations (Cascade Books, 2009). Some of his poems have been translated into Albanian, French, and Serbian.